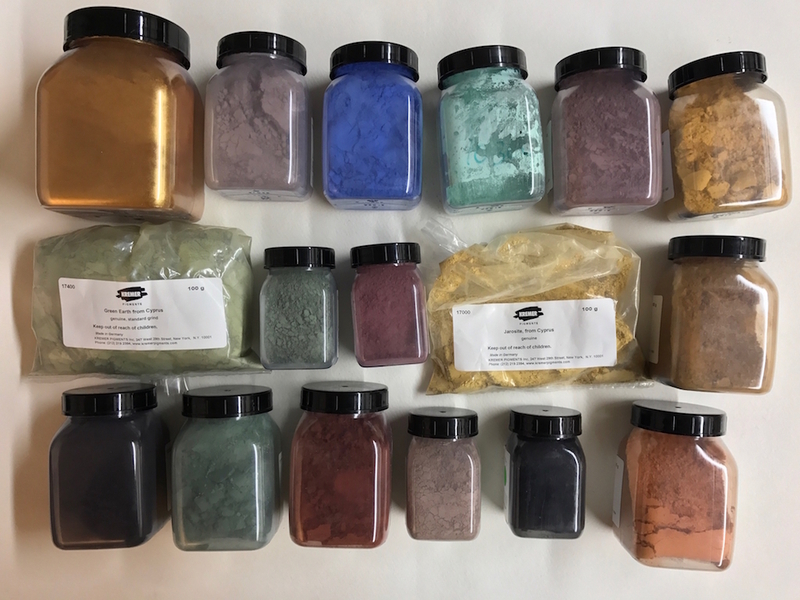 Kremer Pigments in New York | Courses | Kremer Pigments Inc.
"Rare Earths, Minerals & Historic Pigments"
The “Rare Earths and Minerals” version offers a selection of Historic and Kremer-Made pigments. 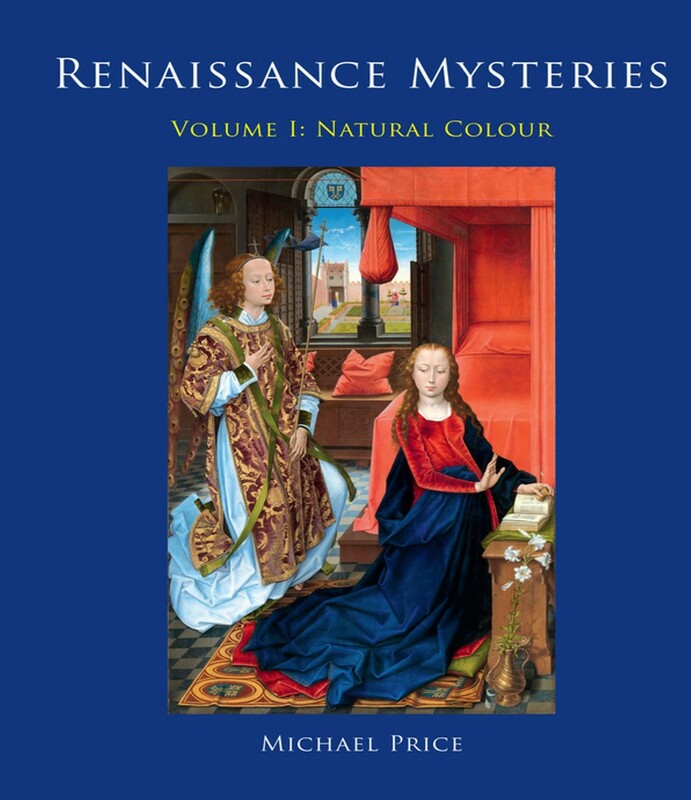 This selection includes pigments like Lapis Lazuli, Cote D’Azur Violet, Peach Black, Bister, Gold Ochre from Saxony, and Red Ochre from Andalusia. 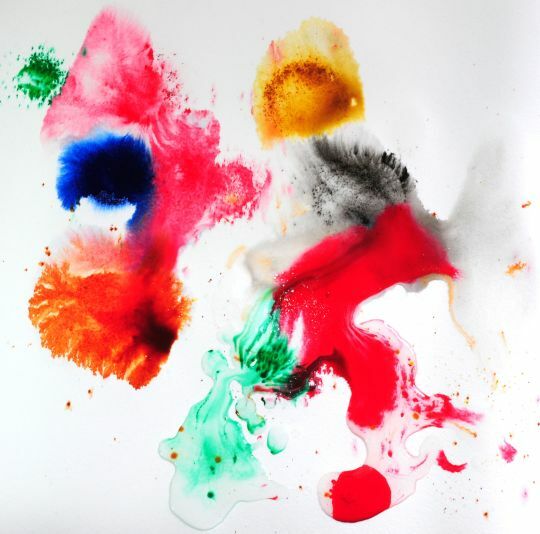 Watercolor paint preserves the individual traits of these very special pigments. See and feel the difference between a delicate sparkling Malachite and a smooth and fine Green Earth. Participants will choose their favorites and make a 14-color full pan set! Includes a metal palette that doubles as a carrying case. This Crash Course gives a short history of paper marbling from various traditons including Turkish, European, and Japanese suminagashi techniques. Sheryl Oppenheim will discuss materials, tools, and recipes for marbling, and give demonstrations in both western and suminagashi techniques. 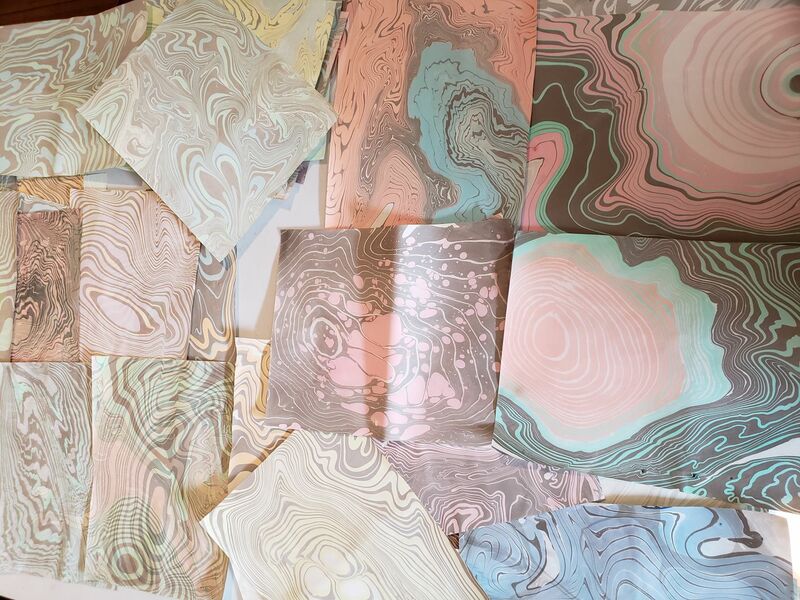 In addition, this class will include a discussion about selecting appropriate papers for marbling. 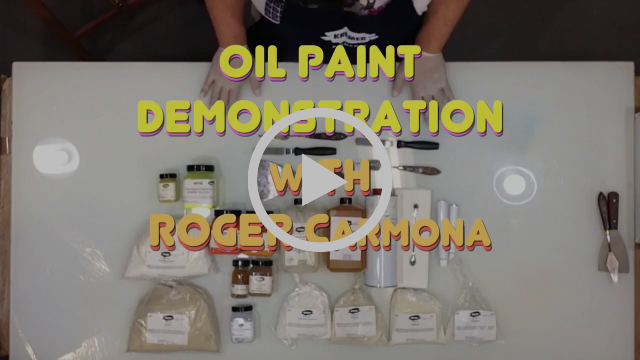 Make Your Own WATERCOLOR Set: "Classic"
Learn how to transform pure pigments and gum arabic into highly-saturated watercolor paints. The ratio of gum arabic to pigment will be emphasized. The “Classic” version offers a selection of 25-30 pigments that vary in characteristics- gritty, fine, opaque, transparent, earth, synthetic, pearlescent, etc. Experiment with custom color-mixing. 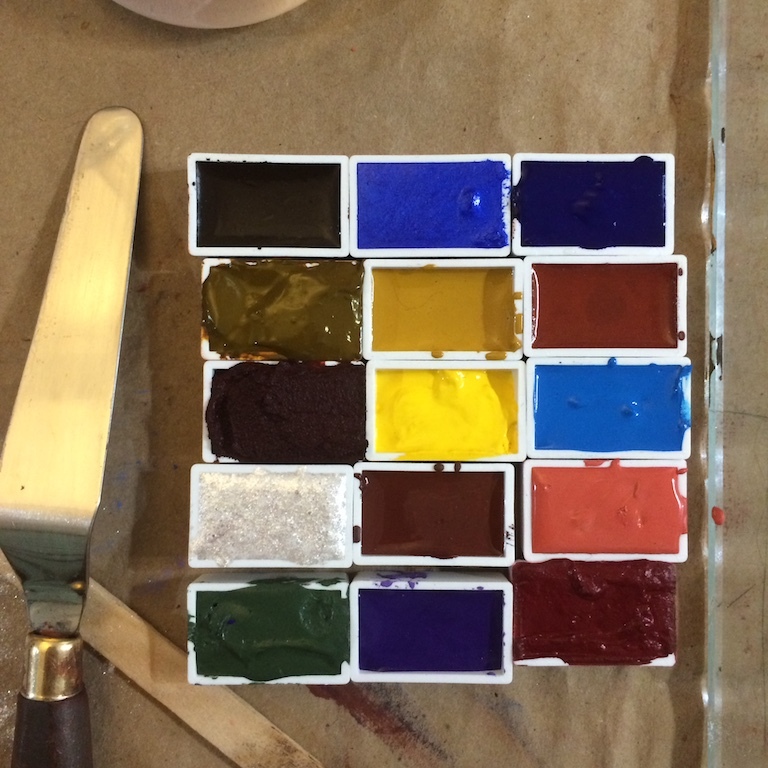 Participants make a 14-color full pan set! Includes a metal palette that doubles as a carrying case. You will make 8 x 30ml tubes of oil paint. 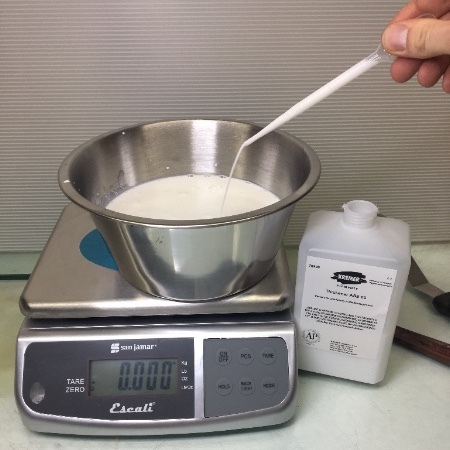 To really understand how to make the best oil paint, you must first understand the characteristics of each ingredient that is used. Choose from a variety of pigments and oils with distinctive personalities. There will be options for additives that adjust the properties of your paint: calcium carbonate to add body, cold-wax paste to reduce stringiness, aluminum stearate and tixogel to make paint jelly-like, and sepiolite to prevent oil separation. Crash Course Part 1: "Grounds, Gesso, and Pigment Classification"
Find out why the ground is just as important as the paint you put on top of it. There’s more than one kind of gesso, and we show you how to make it yourself. Topics include: how to properly dissolve rabbit skin glue, the function of chalk, tinted grounds, PVA sizing, and customized absorbent grounds. We will also give an overview of pigment “families,’’ and their attributes in different paint binders. 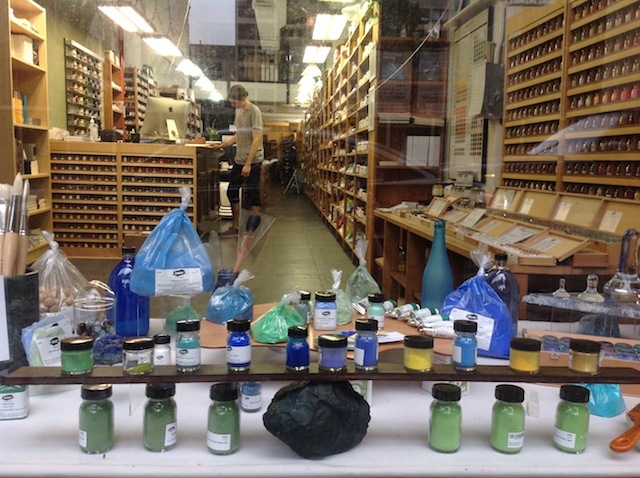 Find out where pigments come from and how they are processed. Learn proper storage, handling, and clean-up procedures for dry pigments. Crash Course Part 2: "Water-Based Paints"
Open up a world of paint possibilities by learning how to make your own paint. We will cover acrylic paint, but there is much more than that. There are several other water-based binders including; gum arabic, PVA, cellulose, and Aquazol. Learn how to bend the rules, hack a recipe, and push the limits of your materials withour sacrificing quality. Having trouble with your water-based paint? Bring on the technical questions. Crash Course Part 3: "Oil-Based Paints, Mediums & Varnishes"
This class aims to demystify hand-made oil paint and related recipes. We will troubleshoot common mistakes for beginners. 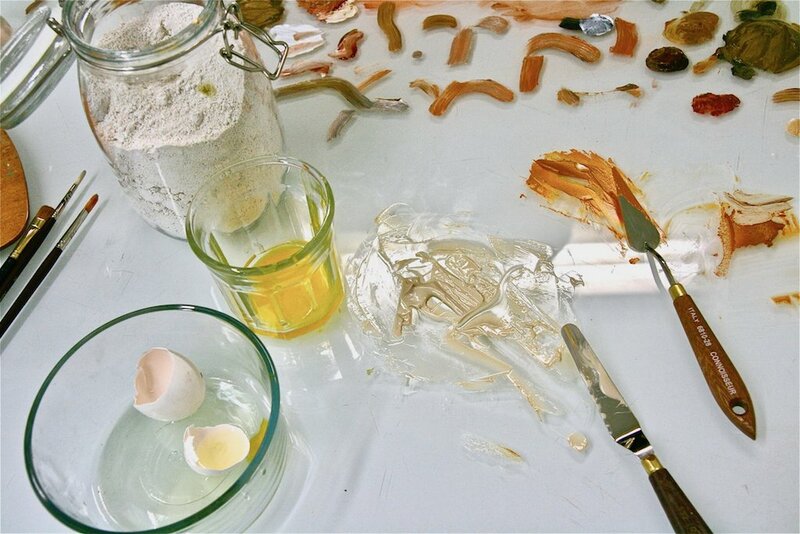 This class is for anyone who has ever asked: Can I make oil paint out of ANY kind of oil? What’s the point of making my own painting mediums if I can just buy one? How do I make oil paint dry as fast as acrylic? 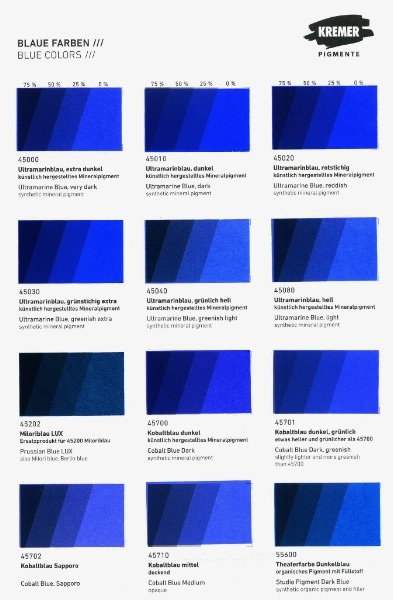 Why is Ultramarine blue stringy? 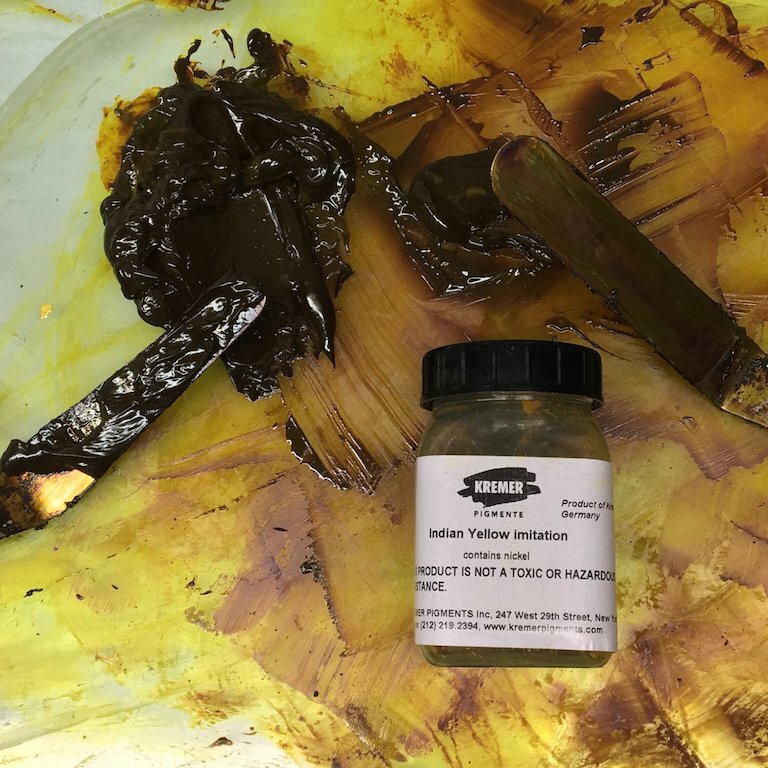 What are water-soluble oil paints? Why are some of my paints drying matt and some glossy? Come with easy or complex questions. Classes are 2 hours long with a standard fee of $15. Class participants get 10% OFF purchases made on the day of the Crash Course. 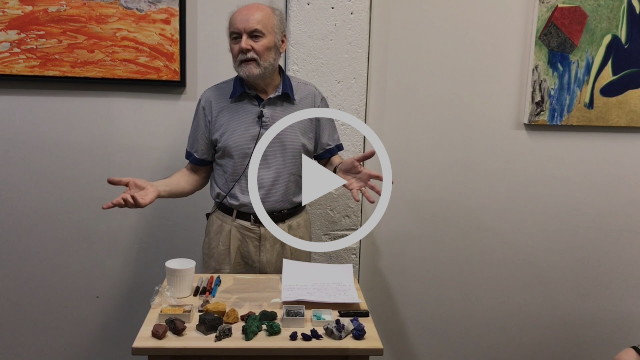 We started the Crash Course Series as a way to introduce our diverse products to people that want to work with raw materials. Each Crash Course segment focuses on a particular type of paint and they can be taken in any order. We demonstrate basic methods step-by-step, discuss recipes and ratios, and empower paint-makers of all abilities. Not unlike cooking, making paint is a “simple” technique that gets refined with practice. If you have only ever painted with pre-made gesso and paint, come to a "Crash Course" to see what hand-made paint is all about. It's as different as a home-cooked meal compared to fast-food. However, there is nothing wrong with not making ALL of your own paint! Bring your notebook, camera, and all your technical questions! 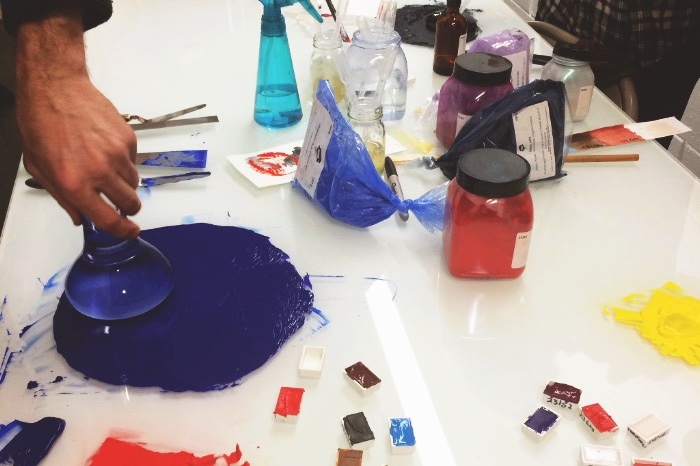 Make your own paint in a fun, supportive environment. Each class begins with a demo explaining the materials and process. Go home with ready-to-use paint handmade by YOU. Small class size of 12 participants means you won’t feel lost in the crowd. Make paint for yourself, or as a gift for someone else! It might even make you a better cook. All materials are provided though you may wish to bring an apron or dust mask. Wear “studio” clothes and shoes that can get dirty. We cannot reserve unpaid spaces in our classes. All classes and workshops take place at our store. The workshop space is in the basement level and is not wheelchair accessible. Due to high demand, we can only offer refunds on class cancellations made 3 days prior to the class date. Cancellations within 2 days of the class date are for store credit only. If you are scheduled to attend a class and do not show up, your payment cannot be transferred to store credit. The color blue has always displayed a special spiritual significance in the history of art. 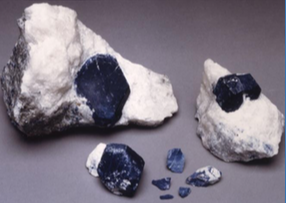 Natural blue mineral pigments for use in painting are limited to the semiprecious stone lapis lazuli and azurite. These natural blues are witnessing a re-birth among a small group of contemporary artists. However, there is still a lot of confusion surrounding methods of preparation and how to paint with these pigments. This lecture presents the results of the past thirty years research and painting on a daily basis with these pigments as well as conclusions from ageing tests carried out by museum conservation departments. 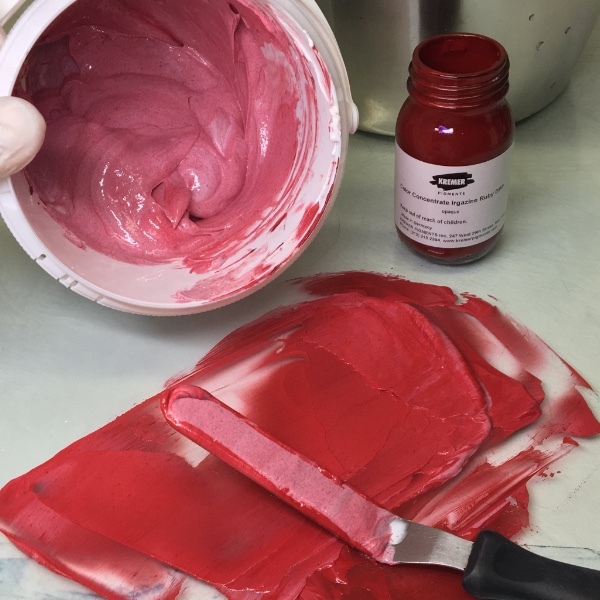 The discussion covers the challenges of painting with natural pigments and how this differs from the modern synthetic colors whether in oil or acrylic binding mediums. British born artist Michael Price works exclusively with natural and mineral pigments which he prepares himself from rocks and crystals. He has exhibited in Germany, France, England and U.S. over the past forty years. 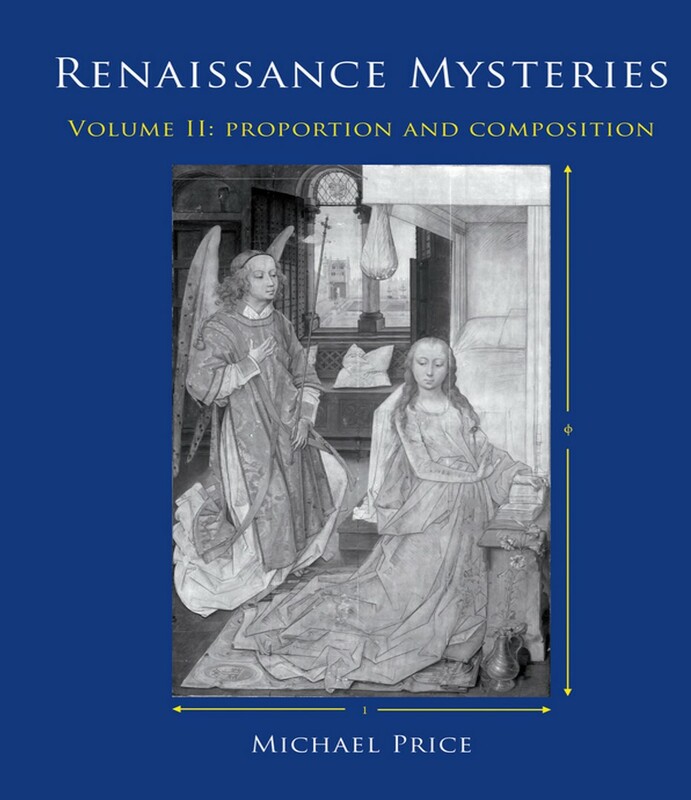 His two volume book "Renaissance Mysteries" was published in 2016, financed by Kremer Pigments. He lives and works in Manhattan. Organized by the Department of Mathematics and Science, Pratt Institute. For more information, email edelfede@pratt.edu.